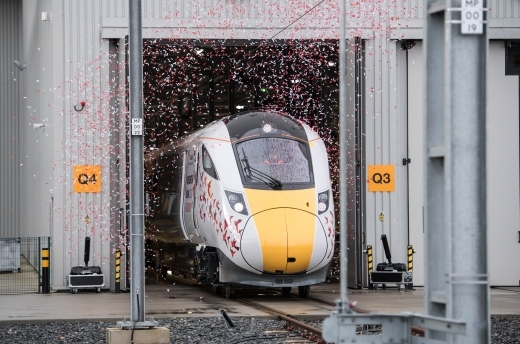 Hitachi Rail Europe (HRE), a global rail specialist with over 100 years of industry expertise, celebrated the first Intercity Express (IEP) train to be built in the UK at its manufacturing facility in Newton Aycliffe, County Durham. Secretary of State for Transport, Chris Grayling, Minister for Northern Powerhouse, Andrew Percy, and Ambassador of Japan in the UK, Koji Tsuruoka joined the team for the event. HRE opened the state-of-the-art £82m facility in Newton Aycliffe in September 2015 as part of its ambition to develop a hub of industry and innovation in the North East. By Spring 2017, Newton Aycliffe will employ approximately 900 people. By 2019, HRE will employ 2,000 people across 14 UK sites, including manufacturing and maintenance facilities. A host of British businesses will continue to supply parts for new trains, supporting thousands of additional jobs countrywide. The event at Newton Aycliffe offered an opportunity to view and board the first of the British-built new IEP trains and see trains being built at the facility. Attendees witnessed first-hand the engineering skills that Hitachi is proud to be investing in, and also met with members of the team working on IEP, including some of the 50 apprentices employed at Newton Aycliffe. The first train leaving HRE’s UK production line marks a major milestone ahead of the introduction of IEP, the £5.7bn Government-funded programme to modernise UK intercity travel. By the end of the programme, HRE will have supplied 122 modern intercity trains for passengers travelling on the Great Western and East Coast main lines, offering vastly improved levels of capacity, reliability and comfort. Transport Secretary Chris Grayling said: “We are determined to take the big decisions for Britain and are investing record amounts to modernise the rail network, deliver better journeys for passengers and drive economic growth. Northern Powerhouse Minister, Andrew Percy commented: “Our plans to build the Northern Powerhouse are right on track with 187,000 jobs created in the past year alone. Managing Director of Hitachi Rail Europe, Karen Boswell added: “Today is a celebration of the return of train manufacturing to the North East, supporting thousands of jobs and developing a strong engineering skills base in the region. 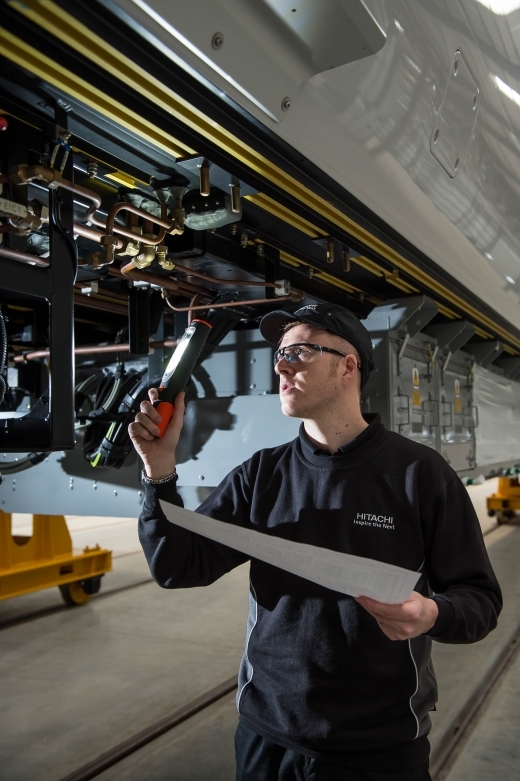 Trains running across the country’s rail network will be built by a proud workforce harnessing the best of Hitachi’s long standing rail expertise. The company that built the world famous bullet trains is now building the next generation of UK trains, which will deliver a step change in intercity travel, offering more capacity, greater comfort and a lower carbon footprint.